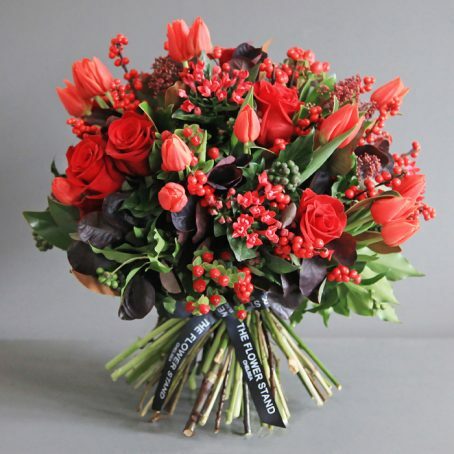 Red Tulip Christmas Bouquet. 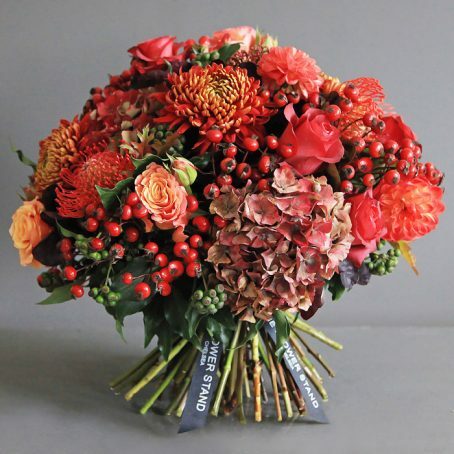 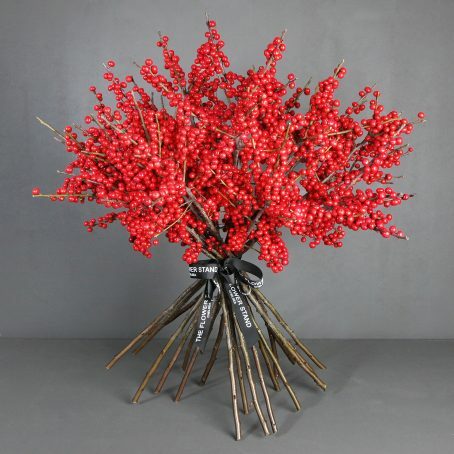 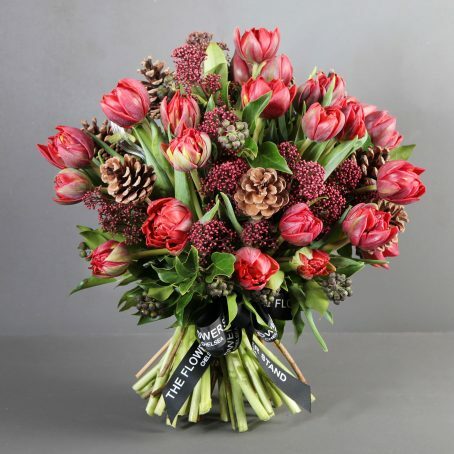 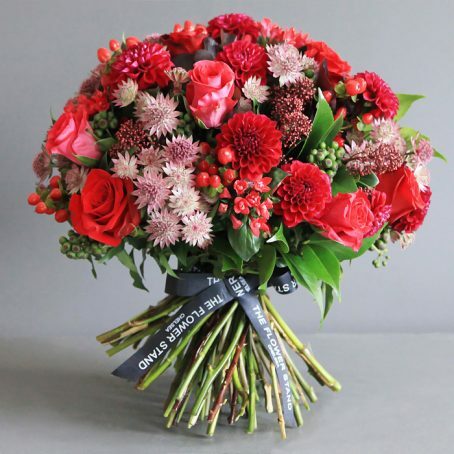 The finest quality red tulips are combined with Japenese skimmia, pine cones and green foliage to create this bouquet of luxury flowers. 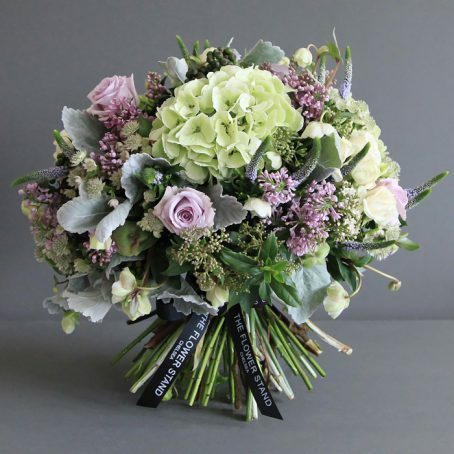 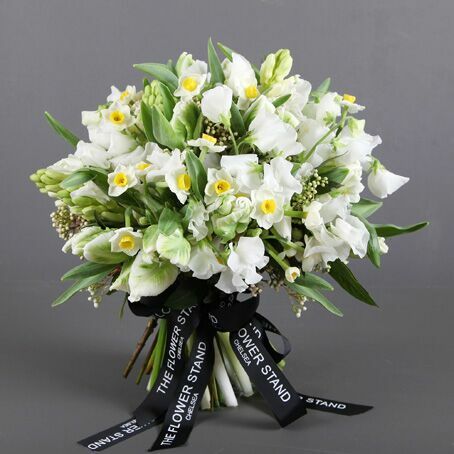 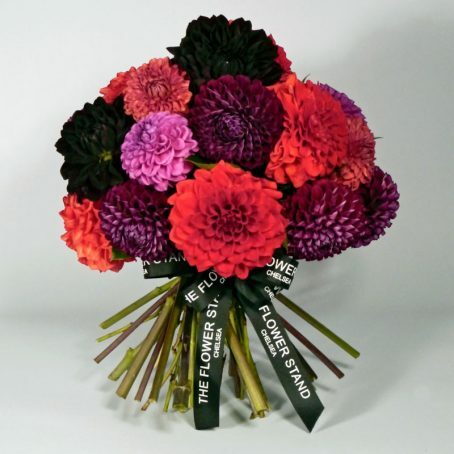 White Christmas Bouquet hand-tied at our boutique florists in Chelsea. 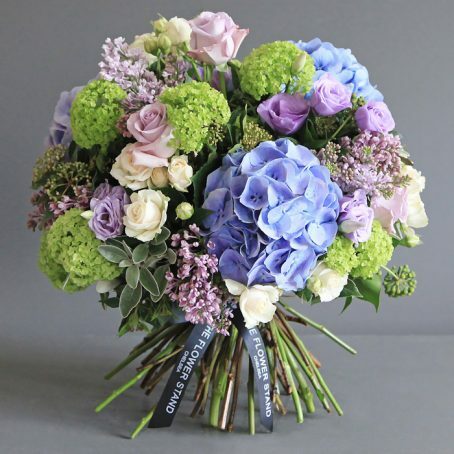 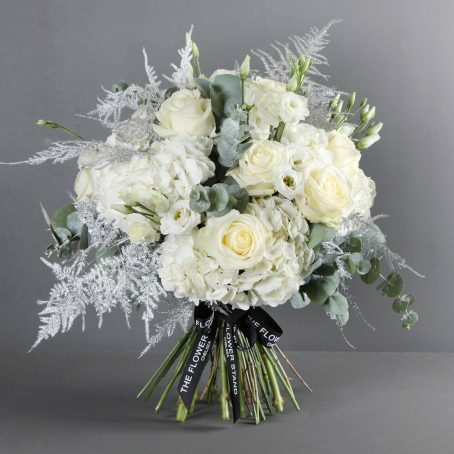 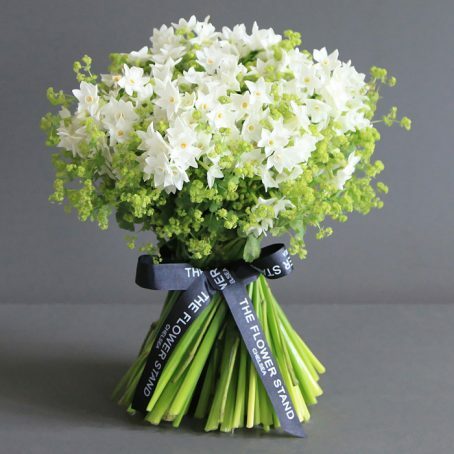 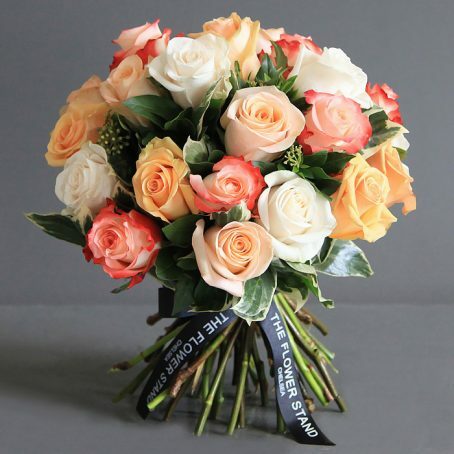 A white Christmas is guaranteed with this luxury bouquet of ivory roses and white hydrangeas.